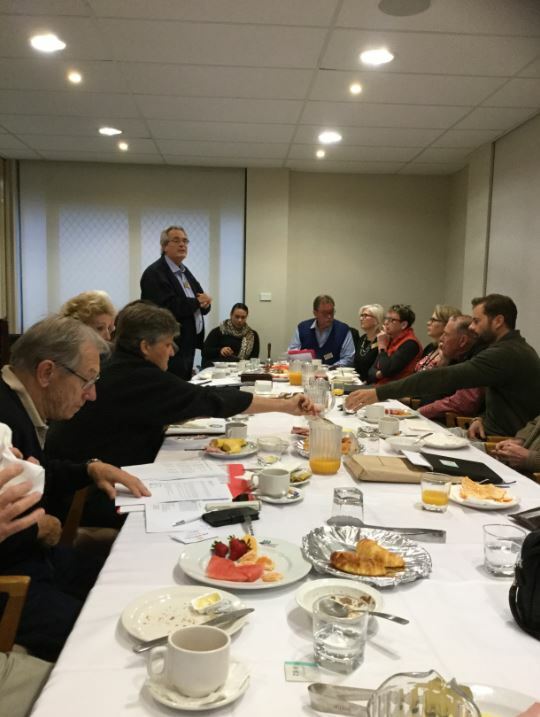 Visitors: Tahina Booth, Robert Frost (who has only moved into the area in the last year), Warren McGurgan, Assistant District Governor and Belrose Rotary Club. President Richard led the round of applause at see Veronica Hopley enjoying the meeting after her absence. At this rate President Richard should enrol 52 new members this year – given that he has only been President for two weeks and has now enrolled two new members. 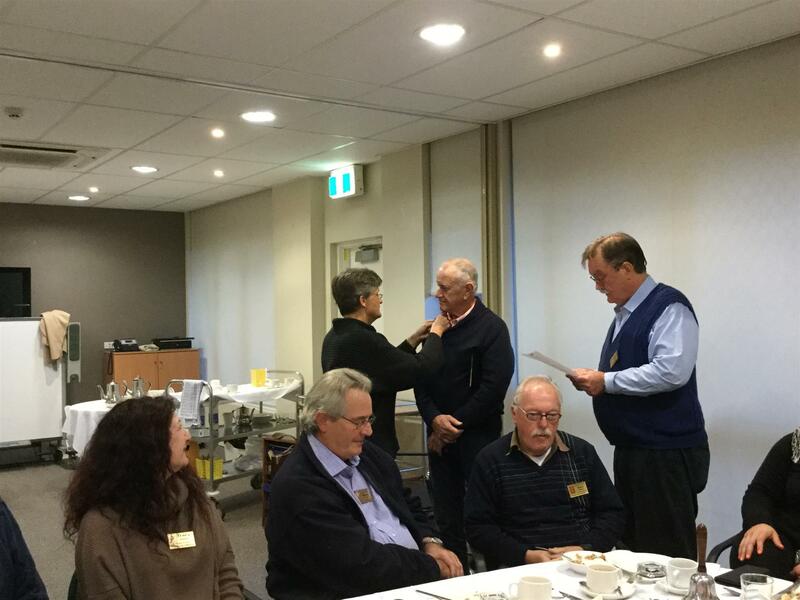 This week we were all happy to see Norm Thomson inducted by Richard and welcomed to the club. The date for the 2017 Fun Run was announced as being on Sunday 28 May 2017. Lynne Shori requested that all attending the Zone meeting on Saturday 30 July pay their $40 per head into the club bank account and also let her know so she can keep a tally of who are all attending. 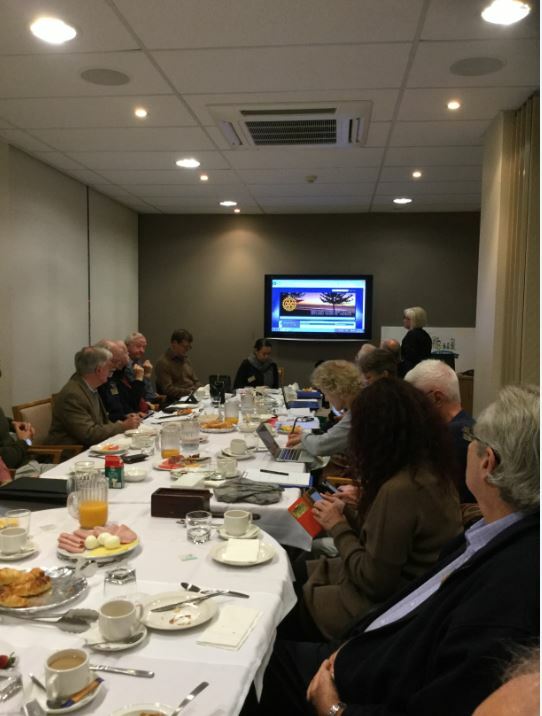 John Shanahan announced that the $6,000 grant for Lynne Shori’s pilot sanitation project has come in, that he had written to RABS (Rotary Australia Benevolent Society) about the project, and also that an international grant is been sought too for the pilot project. Ted Waters advised that, according to Council, the repairs to the walkway round to Shelly Beach will be carried out in two months time, and that the hold up so far has been that the sewage line has to be dealt with also.